It’s nearly impossible to avoid online marketing in today’s economy. After all, over 54% of the world’s population is now online. In North America, it’s a whopping 95% of the population! But what exactly is online marketing? While it’s a simple term, it’s often misused, misunderstood, or only partially explained. A Google search of, “what is online marketing?” turns up over one billion answers. 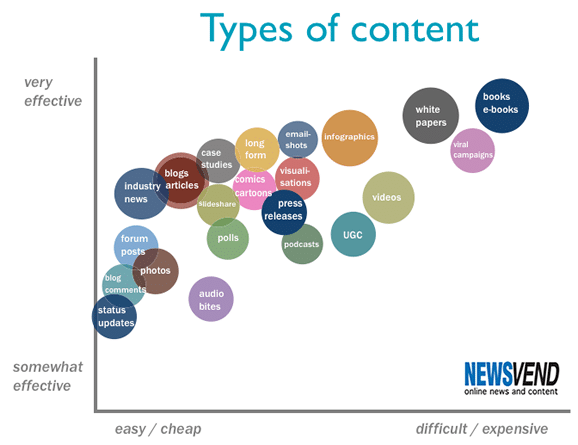 Some of which focus on only content marketing, or just search engine marketing. While in reality, online marketing is a broad term that encapsulates all of that and more. To make things even more confusing, online marketing is an ever-changing field, with new trends emerging each year. In fact, companies are already predicting the new trends that will emerge in 2019 and even 2020. In this guide, we’ll walk you through all the key aspects of online marketing and provide everything you need to know to successfully embrace online marketing for your business. What is online marketing & why do you need it? Online marketing is anything you do on the internet in an attempt to reach people with the goal of creating sales for your business. As you can tell, this definition is broad. 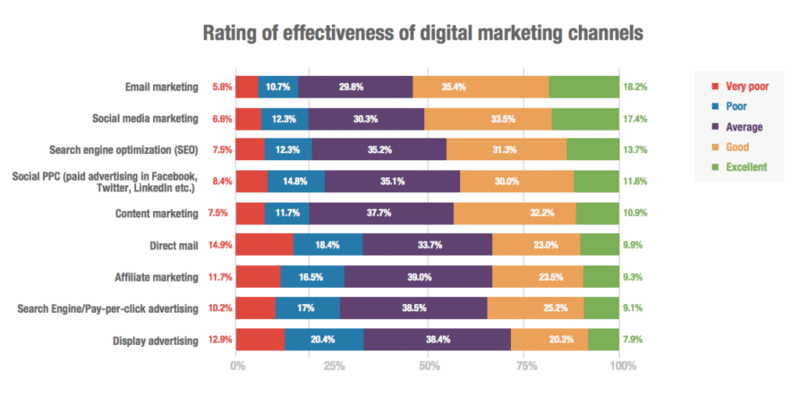 This is why online marketing is broken down into more manageable sub-categories, such as content marketing and social media marketing. We’ll go through each of the eight main subcategories shortly. First, let’s briefly talk about the importance of online marketing. Traditional marketing was limited to a company’s region, whether this was the local community or the country. However, online marketing allows you to reach over half of the world. Plus, it’s often cheaper. Consider the cost of printing ads or sending out direct mail flyers. 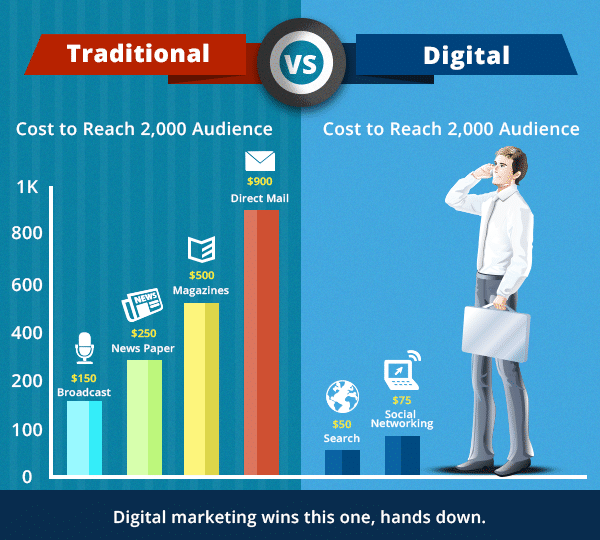 Digital ads can reach more people and cost much less to create. Not only that, but a billboard can only broadly target people. You could aim at people in a specific location, who drove a car. That’s about it. With online marketing, your targeting ability is much more advanced. Which means that a higher percentage of the people seeing your ads is actually your target market. 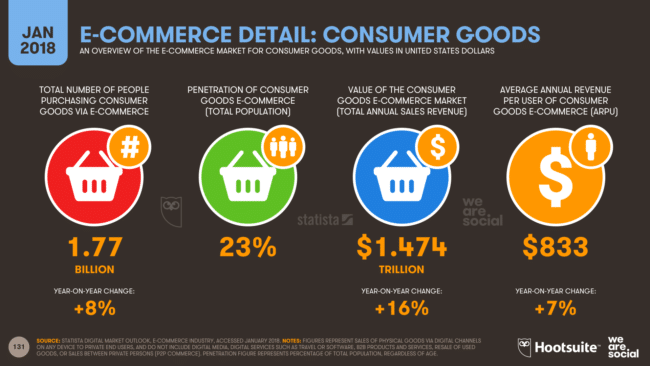 E-commerce is a growing marketplace, with close to $1.5 trillion in sales revenue this year. But, online marketing isn’t only crucial for growing your business online. It can also impact the sales that come through your brick-and-mortar store. Almost one-third of all mobile searches are location-based, which means people are looking for something near them. And 50% of these local mobile searches result in users visiting stores in their area within the next twenty-four hours. Which means if you have an online presence and you show up in the right local search results, it could have a significant impact on your in-store traffic and sales. Flexibility and convenience: For you, there is less lead time required to launch an ad. For the consumer, there is the benefit of being able to interact with your marketing when and where it’s convenient for them. Analytics: It’s easier to track the success of your marketing efforts. You can view statistics such as click-through-rate and conversion rate. Integration: You can use integrated online marketing techniques and ads to improve conversions, such as with the ability to retarget customers on social media who abandoned carts on your website. If your competition is online, you can’t afford not to be. As that would mean they have all these benefits that you are foregoing. Keep in mind, that with online marketing, your competition may now be a retail store halfway around the world and not just the ones in your local area. There are more potential customers online, but also more competition. Which means, that if you don’t do online marketing well, you’re throwing money away.For example, 75% of people never scroll past the first page of search engines. 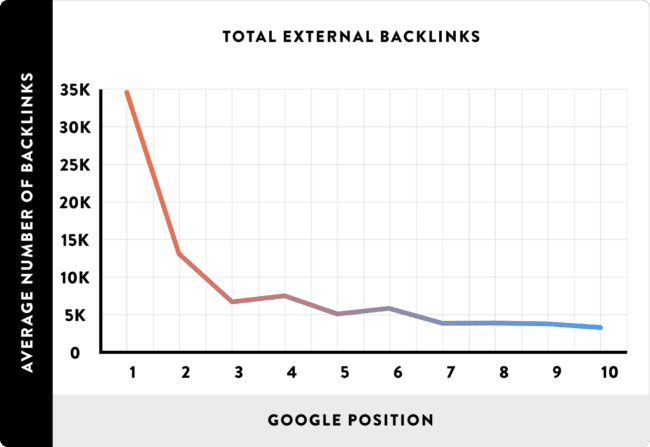 So, if you’re ranking on page 2 or lower, your SEO efforts are unlikely to pay off. Online marketing techniques, tools, and methods change frequently. This means that your online marketing strategy for 2017 may not work as well in 2018.Every time there is a significant update, such as a Google algorithm change, it could impact the effectiveness of your strategy. The small changes that happen nearly twice per day may go unnoticed. As we’ve discussed, online marketing is a broad and diverse category with trends that regularly change. This can make it feel impossible to grasp and successfully strategize for your business. I want to give you a solid understanding of all of these categories, without drowning you in the vast array of information that’s out there. That’s why I’ll give you an extensive overview of each category along with examples and actionable tips to help you get started. If you’re not familiar with SEO, check out our ultimate guide for ranking in Google. Within search engine optimization, there are two significant sectors to be aware of: on-page and off-page SEO. Crawl errors – whether the search engine bots have problems reading your site and its content. Page optimization – increasing the readability and impact of your site with tags, headers, links, meta descriptions, and short URLs. 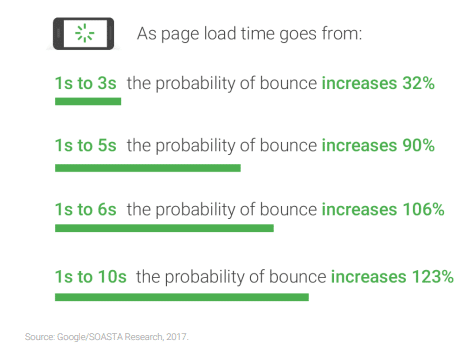 Speed – page speed should ideally be faster than 3 seconds. Mobile – thanks to the mobile-first index launched this year, it’s critical that web pages are mobile-friendly. Link building – the building of internal and external hyperlinks pointing to your site. Social sharing – sharing of your content across social media platforms. “Search engine marketing”, or SEM, is the paid version of SEO. Marketers pay search engines such as Google to display ads at the top of specific search results in the hopes that this will drive traffic and ultimately sales for their business. Depending on the keywords you’re targeting, the price per ad will vary. Keywords with high search traffic are more competitive and therefore more expensive. Some keywords cost as much as several hundred dollars per click. So, while search engine marketing can be a great strategy, it only works if you can recoup your advertising costs. The most common tools for search engine marketing are Google Adwords (now called Google Ads) and Bing Ads. Bing Ads also offers Search network and Display network ads. At this time, it does not have a competitor for Google AdSense. Content marketing is where marketers create and promote valuable content to their target market. Content marketing is a powerful way to improve your SEO. For example, if you have an active blog, you’re likely to get 434% more indexed pages on Google compared to your competitors without blogs. This provides you more opportunity to capture search volume and earn links back to your site, as well as more opportunities to drive more leads. By next year (2019), content marketing is set to be an industry worth $313 billion. Reports show that 91% of businesses are already convinced of its power and consider it an essential marketing tactic. One reason for this is that content marketing costs on average 62% less than traditional, outbound marketing, but pulls in 3x as many leads. Of course, the big caveat here is that your content needs to be valuable to your market. That means you need to create something that’s better than what is already out there. Does it address a problem or answer a question my audience has? Did I include clear steps and examples? Does it provide actionable tips and advice? Is it formatted and written to be easily readable? Content can come in almost any form. It includes photos, blogs, podcasts, infographics, viral videos, e-books, and more. While blogging is an ever-popular choice, video is growing in importance. Research shows that only about 20% of people will read the words that you wrote, but 80% will watch your video. When determining what type of content you will create, you need to consider the sales funnel and who you’re trying to target. 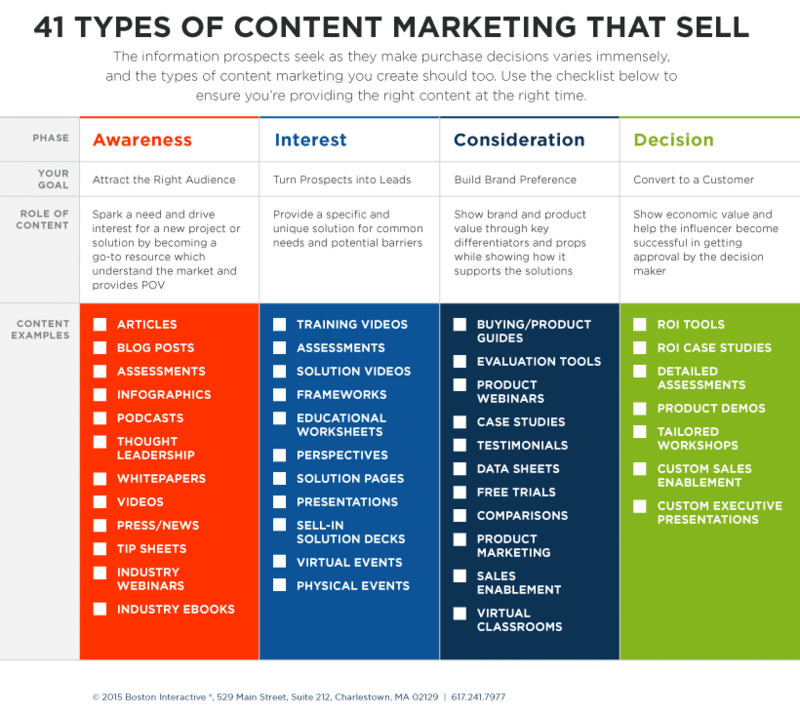 Below is a handy chart to help you confirm that your content type will complement where your consumers are in the sales funnel. Social media marketing is where you use social media channels to engage with your potential and current customers. It’s an excellent method for building relationships and providing customer service. You can also use it for contests, events, and as a platform for influencer marketing, which we’ll discuss later. 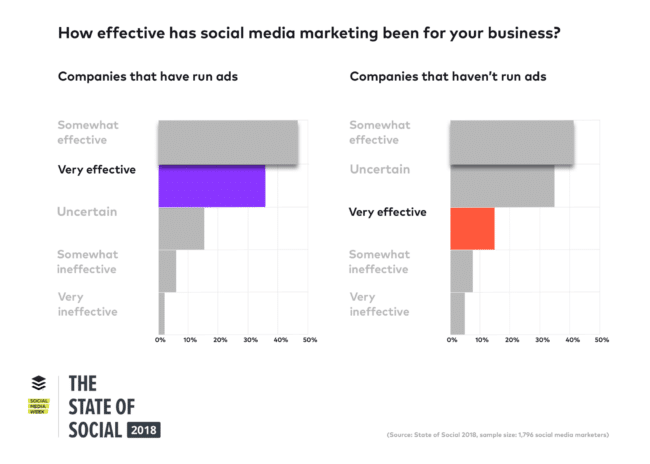 Companies who invest in paid social media ads (such as Pay-Per-Click or PPC ads) are almost twice as likely to find social media marketing very effective. 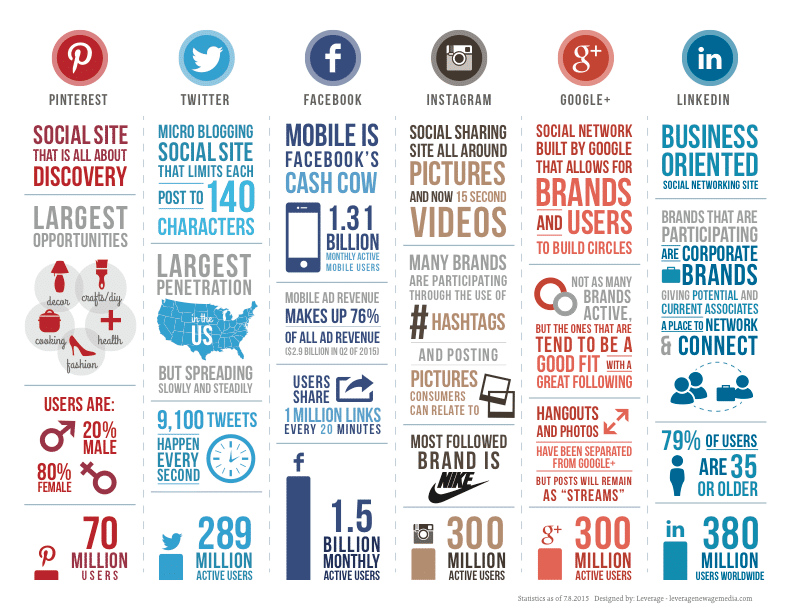 In other words, it’s important to include a mix of paid and unpaid social marketing in your online marketing strategy. All platforms have their own form of paid advertising available. You can choose to create ads, sponsor posts, and create powerful custom audiences for your marketing. Many social media platforms allow you to integrate ads directly into their users’ feeds. With this type of online marketing, you pay for each click that you receive on an ad you created. You can set a budget for your ad based on how much you’re willing to pay and how many people you want to reach. 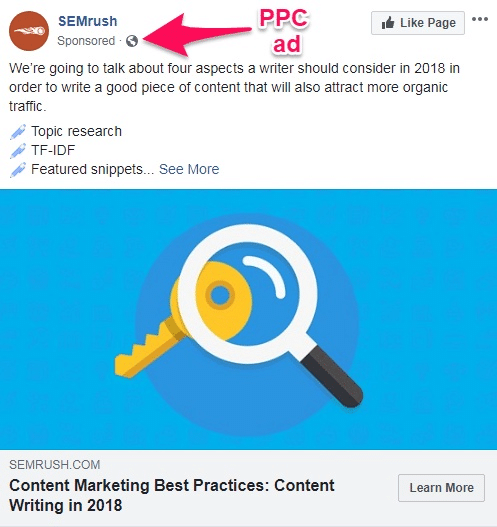 If you’re going to engage in PPC advertising, it’s essential that you determine conversion rates by using tracking pixels. By using the Facebook tracking pixel, you can better define your target audience and increase clicks and conversions. For example, you can use tracking pixels for retargeting shoppers who abandoned carts before completing checkouts. Be aware that it’s important to match your organic content and paid ads to each social media platform you choose to use. Email marketing is an incredibly successful form of online marketing. It is still widely viewed as the most successful form. To be successful with email marketing, you need to have a strong funnel for the capturing of emails. If you have a website, a lead magnet that provides value to people is an effective method. Offer an exchange of your free gift for their email address. Then you can use an email marketing system such as MailChimp or Drip to drip-feed value-rich emails to your subscribers to help move them up your value chain. The strength of email marketing is that it allows you to communicate with your audience and customers directly. Plus, email is a great long-term method of contacting prospects. After all, how often do people change their email addresses? Personalization is one of the most significant factors for a successful email marketing campaign. Creating email marketing messages that are as specific as possible will help drive better open rates, response rates, and conversions. Segmentation focuses on sectioning your customer email list into specific groups, allowing you to target them with much more customized content. Research shows that segmented email campaigns have an open rate that is over 14% higher than non-segmented campaigns. Affiliate marketing is a kind of referral marketing agreement where you share profits with fellow marketers in exchange for them promoting your products. This is a popular form of passive income, which is where you earn money without actively working for it. For example, Amazon associates is the well-known affiliate program for Amazon. Anyone can sign up for its affiliate program, generate a special link for any product the company sells, and then provide that link to their audience. You can put it on your blog, share it on your social media accounts, or even email it directly to people. Every time someone clicks it and then buys from Amazon, you get a small percentage commission. You can sign up as an affiliate for hundreds of other companies online. Or you can start your own affiliate program and recruit bloggers and other online marketers to help market your products. Influencer marketing is similar to affiliate marketing. It’s still using other people to promote and sell your products. The difference is that instead of partnering with just anyone, you’re working with people who have already built up significant influence with your target market. Using influencers can be a great way to quickly saturate yourself into the marketplace. But, finding the right influencer at the right price can be challenging. Some influencers can charge enormous fees for even a single post on social media platforms. For a top-tier influencer, such as a celebrity, you could easily end up paying a million dollars or more. 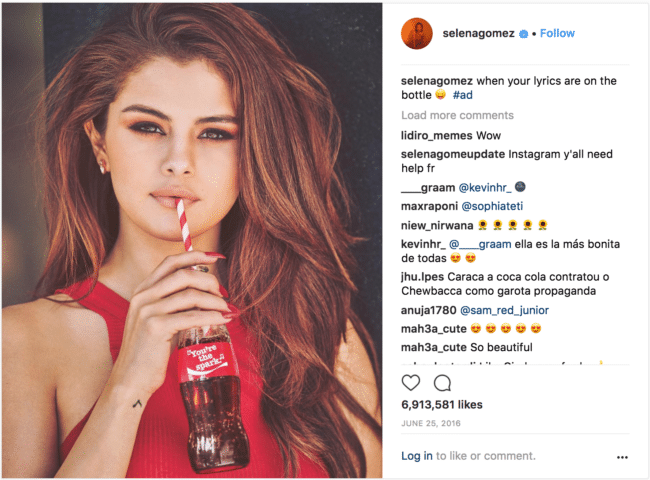 For example, estimates are that Selena Gomez is paid $550,000 for each Instagram post. However, there are also mid-level and even micro-influencers that you can choose to work with. Online marketing is a vast and complex subject. It’s so broad of a field that the best way to tackle it is to break it down into more manageable subcategories. In this guide, we’ve covered the main subcategories you should be aware of when forming your online marketing strategy. These include organic search engine optimization and paid search engine marketing on the major platforms such as Google and Bing. Content marketing, social media marketing, and email marketing are three key categories that you should include in any comprehensive internet marketing strategy. Affiliate marketing and influencer marketing are two additional strategies that can be used to expand your reach by partnering with other online marketers. Online marketing can encompass everything you do online. But when you break it apart and focus on the areas proven to provide results, it can provide huge benefits for your business’ traffic and sales.